CNN Money is notorious for these sorts of headlines. These headlines are the epitome of clickbait: shock-and-awe statements designed to attract clicks and eyeballs. Clicks and eyeballs equate to revenue earned for media companies like Time Warner. That’s their endgame. But these headlines are disingenuous. It’s silly to quote long-term spending figures as a lump sum. When you take a significant annual household expense and turn it into a 30-year cumulative lump sum dollar amount, of course it’s going to be a large number. The same could be said of food, transportation, housing, etc. For instance, I could write an article about how the average retired couple will spend more than $350,000 on food during retirement. Would that generate a lot of clicks? Probably not. Take transportation costs, as another example. The average household in America with at least one college graduate present spends $11,465 per year on transportation costs. If you take that figure out for a 30-year period, the total cost of transportation if $410,842. When you put it like that, it’s a scary number! Having said that, it’s true that rising health care costs in America are a vital concern for our nation. In the U.S., we spent $10,348 per capita (per person) in 2016. This is about double what other wealthy countries spend each year on average (source). In the chart below, the orange bar is health care spending for the average American family with a bachelor's degree or higher. It is a significant expense, no doubt. 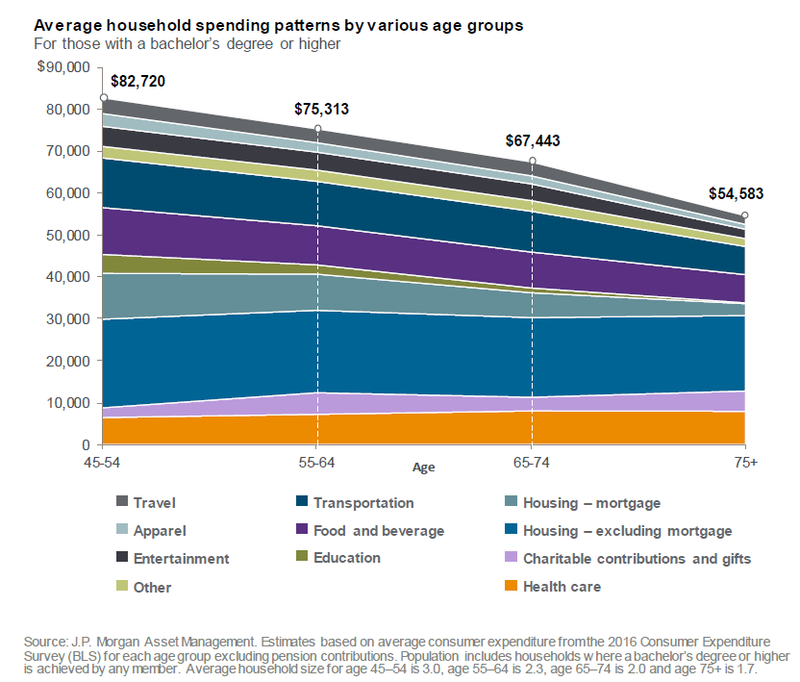 However, even at its peak, health care costs are around 16% of a family's spending. That's a big chunk, but not a "break the bank" chunk. Not having a mortgage long before retirement comes, which enables us to save significant dollars in advance of retirement. According to the Federal Reserve Board’s Survey of Consumer Finances, 35.2% of people aged 65-74 still carried a mortgage on their home. Buying high-quality, reliable, fuel-efficient used vehicles, which dramatically lowers annual transportation costs. Transportation is the second-largest expense in the average American family’s spending, so it’s important to be smart in this area of personal finance. Saving early and saving aggressively to build a nest egg that insulates you from concern about rising health care costs. 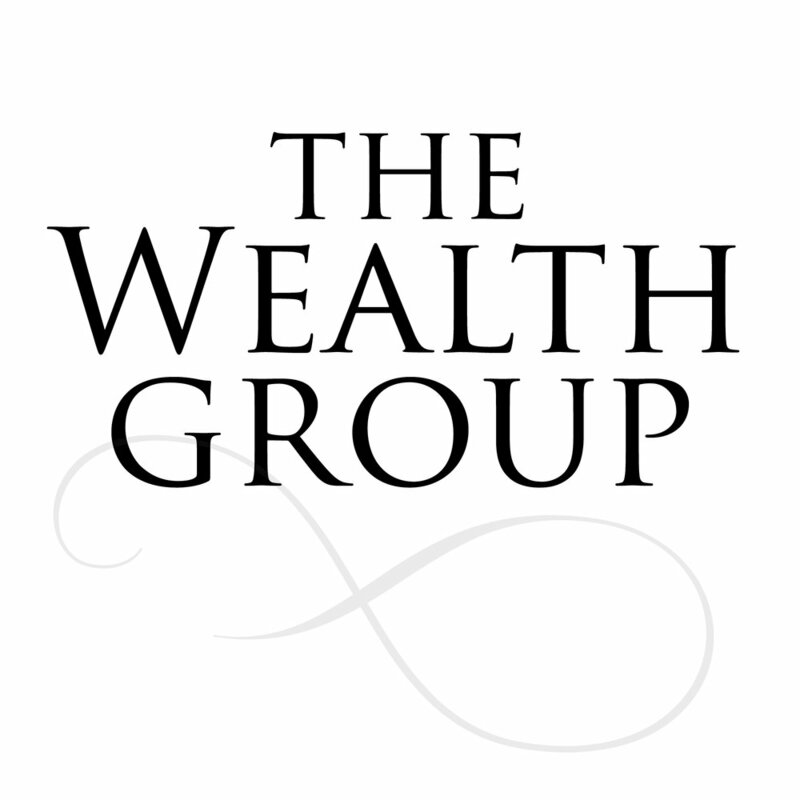 Even for our clients that spend upwards of $15,000 - $20,000 per year on health care costs, if they have built a nest egg large enough to easily support those expenses. Be smart about paying for your children’s college, as we have written about extensively here on this blog. Paying for your child’s future earning potential (i.e. college degree) should not permanently impair your own retirement savings plan. Older PostWhen Should I Have My Mortgage Paid Off?